Ginoogaming and Aroland First Nations in northwestern Ontario are looking at setting up a food cooperative to serve nearby communities. The idea is being discussed as part of the Understanding Our Food System conference, running January 22-24 in Thunder Bay. Ginoogaming and Aroland First Nations in northwestern Ontario are looking at setting up a food cooperative to serve nearby communities. The idea is being discussed as part of the Understanding Our Food System conference, running Jan. 22-24 in Thunder Bay. The three-day workshop, hosted by the Thunder Bay District Health Unit, brought together representatives from 14 communities with access to Highways 11 and 17, to explore food security and food self-determination with the goals of creating a unique food plan for each community and building long-term support networks. 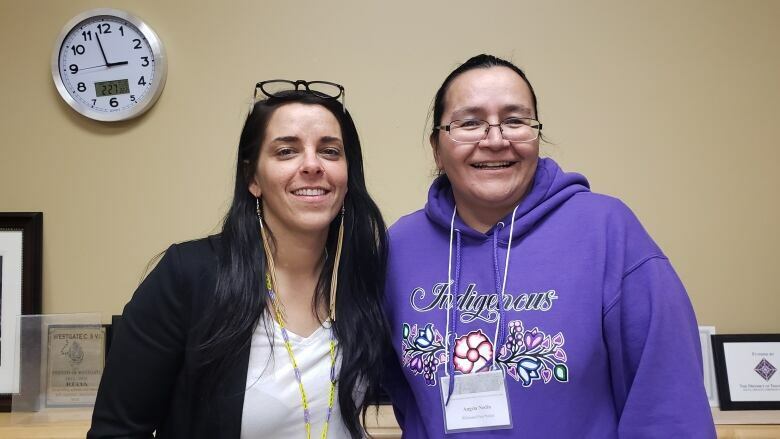 The food system "was our whole life," said Jessica McLaughlin, the project coordinator at the Indigenous Food Circle in Thunder Bay, and one of the key conference organizers. "We travelled around for food, that was how our lifestyles were pre-contact, and so we're talking a lot about them determining their own food systems and providing them with examples of people doing this work." Guest speakers included people from Manitoba who have established community gardens and beekeeping operations in their First Nations. McLaughlin said the idea of establishing a food cooperative came about because of a lack of options when it comes to buying fresh, healthy food. "There's not a lot of grocery stores and when you do have grocery stores the prices are really high and the quality of the food isn't necessarily the greatest," she said. cooperative would allow to the communities to buy in bulk from food terminals in Toronto or Saskatoon to achieve economies of scale. "We could bring food into the region in bulk and then distribute that to the communities, so it would almost be like a community food bank but people would purchase the food," said McLaughlin. The idea would also benefit nearby non-Indigenous communities, such as the town of Nakina, which is just 25 kilometres away from Aroland, and is considered its "sister community," she said. Representatives from Aroland have been meeting with officials from the town, which lost its only grocery store in March 2018, to discuss joining the proposed cooperative so that people in Nakina "can access food as well." The three-day conference wraps up Thursday.